As the weather cools and the days become shorter, the brief autumn season brings different holidays, like Halloween, that awaken the child-like enthusiasm in all of us. Most people can look back on their youth and remember the make-believe werewolves, vampires and zombies that accelerated their heartbeats and haunted their dreams. Yet once we have the cognizance to remove Freddy Krueger and Dracula from our nightmares, real monsters begin to occupy our subconscious, like zombie foreclosures. After growing up and realizing fictitious monsters pose no substantial threat, homeowners are instead haunted by real concerns, such as foreclosure, declining property values and deteriorating communities. As homeowners become renters or receive loan modifications, they may avoid becoming victim to the spread of foreclosure. However, their worries then shift to the troubling spread of abandoned houses that surround them. When homes are abandoned by their owners, those left behind feel the negative impacts. Zombie foreclosures create safe havens for crime, blight communities and hurt the property values of neighboring homes. 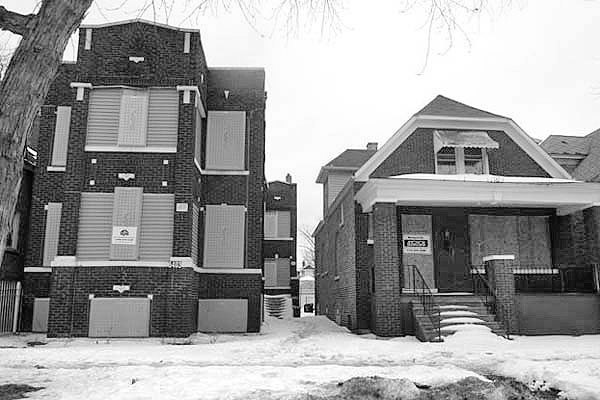 Areas like Detroit and the south and west sides of Chicago have seen entire communities decimated by foreclosure. Some places have been so drastically transformed that they would be deemed too terrifying to be the setting of a horror movie. Unlike Jason and Michael Myers, the villains that commit crimes in vacant properties are very real. AHP has two goals once distressed mortgage pools are purchased: keep families in their homes, and put new families into vacant homes to strengthen communities. We realize the enormity of the task at hand in rebuilding communities devastated by foreclosure, but we are working each and every day to achieve our goals. In honor of the Halloween spirit, we have put together a mini-slideshow below that demonstrates just a few of the zombie foreclosures we have been able to resurrect in the past few months.